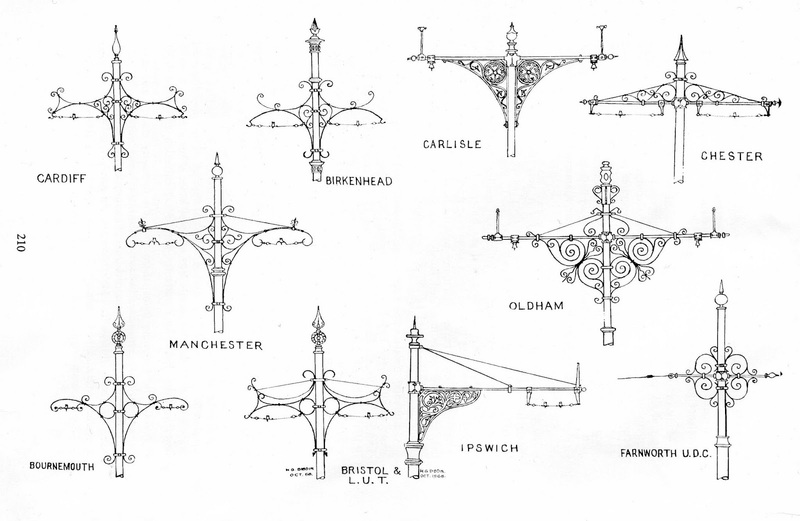 Vintage Stuff: Know your tramway standard! One item of street furniture now almost extinct is the ornamental tramway standard - that's the pole that kept the wires up. 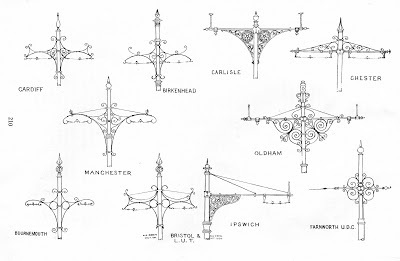 These municipal examples appeared in Tramway Review, Spring 1969, drawn by HG Dibdin.